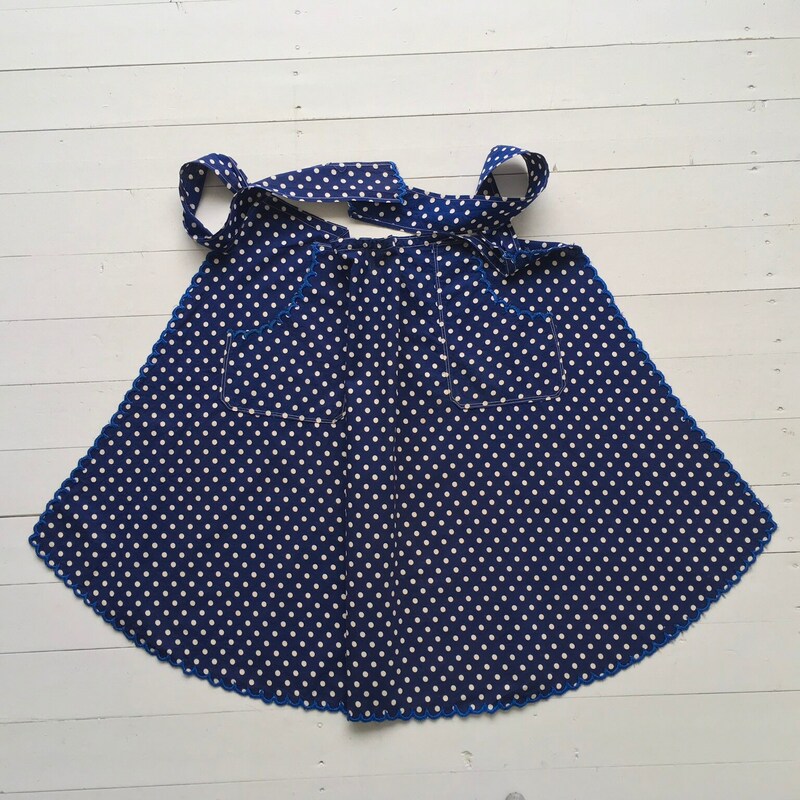 This is a vintage Hungarian apron made from vintage cotton from the 1940's. 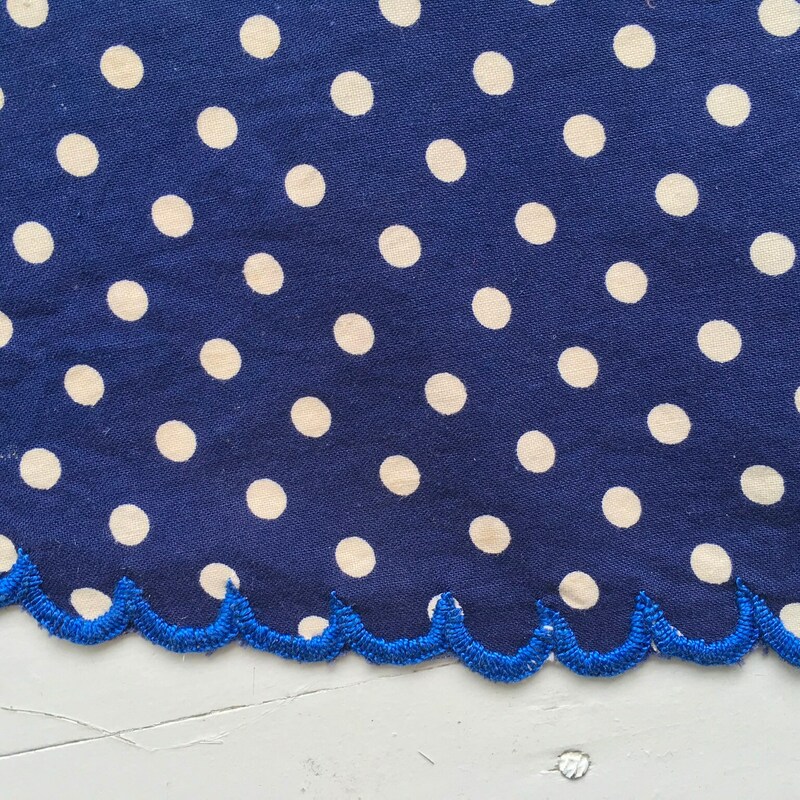 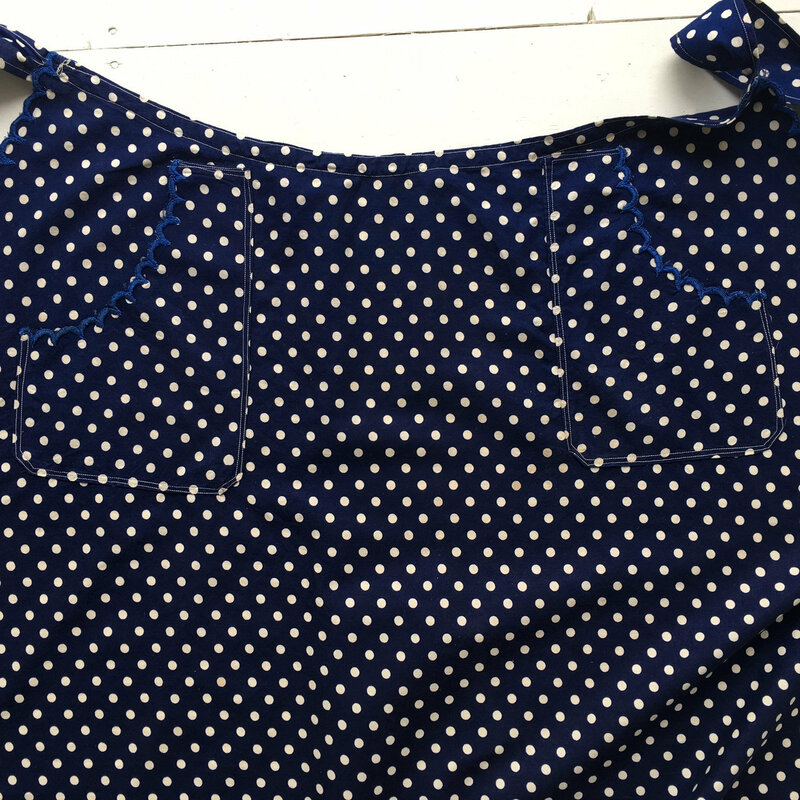 The cotton fabric is in indigo blue with white spots. 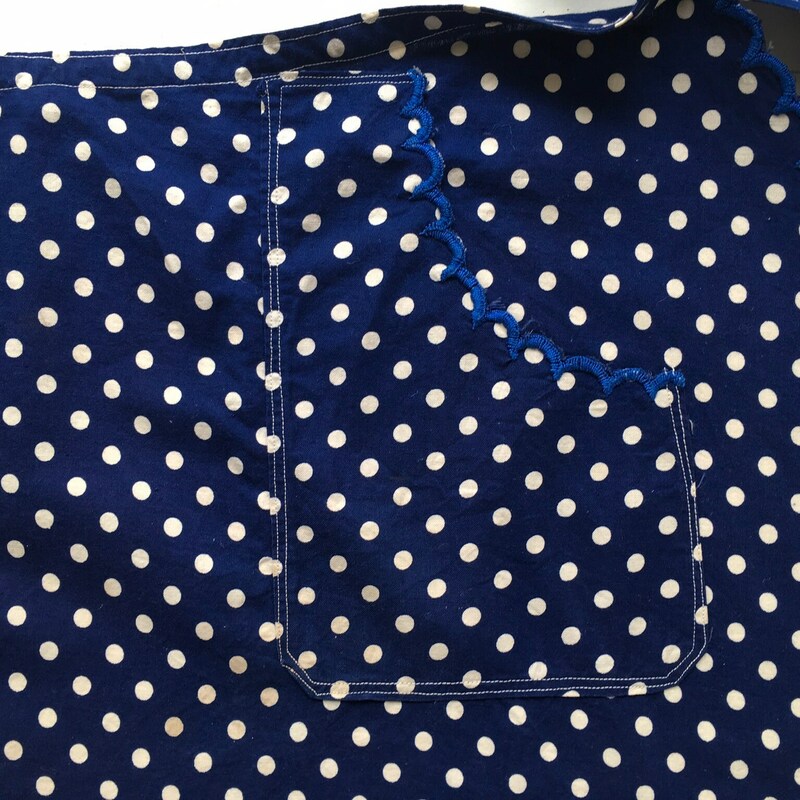 There are ties on each side. 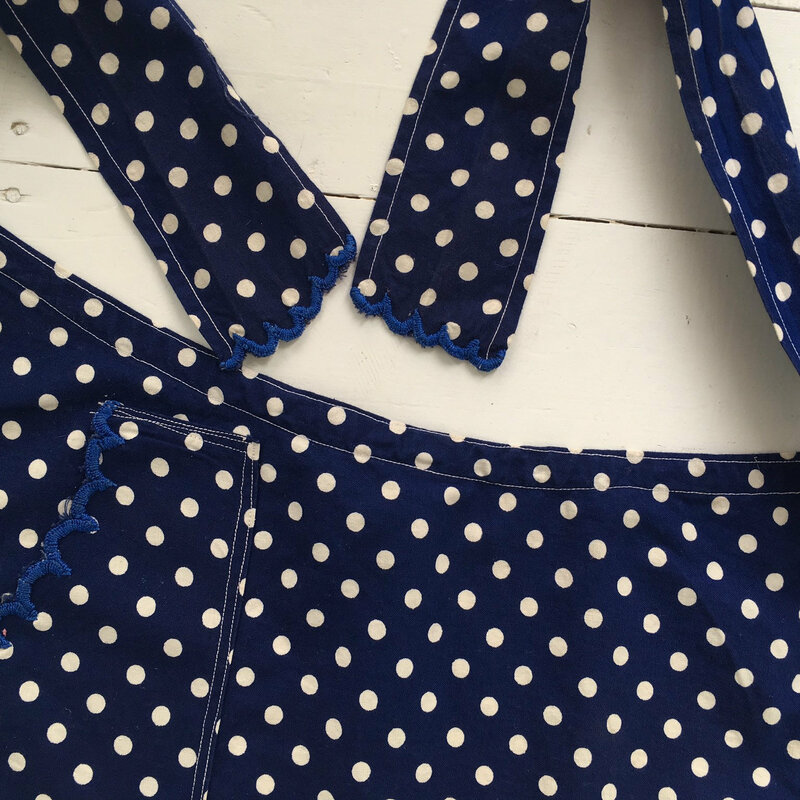 The photos act as part of the description, and this apron has had a whole life before being listed here on Etsy.